Stunned at how fast things are going now. 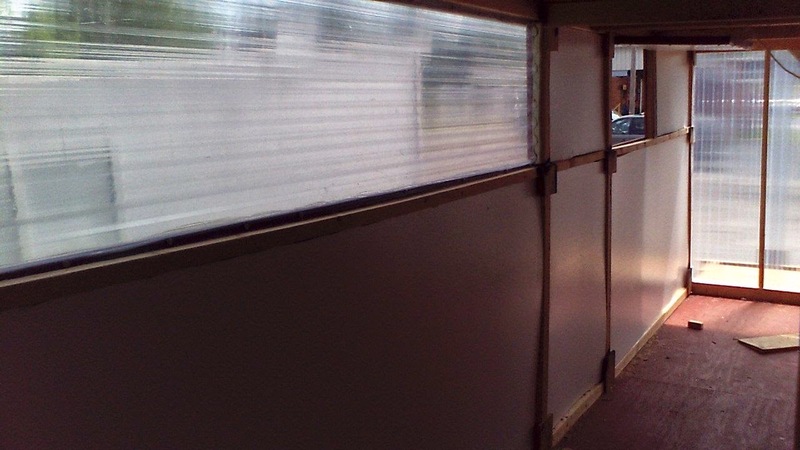 This morning, I completed work on the stops and weather stripping on the forward doorway....sorry, no pix right now. Then we tied into the insulation and over the course of the next several hours completed all the insulation on the lower deck. The first panel going in. 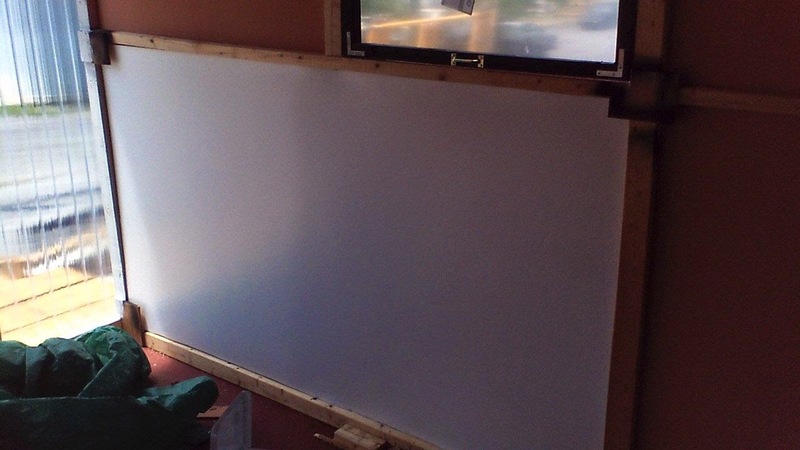 The insulation is 1/2" of foam with a foil backer over a 1" air gap, giving us a respectable level insulation and heat reflection without adding a whole lot of weight. 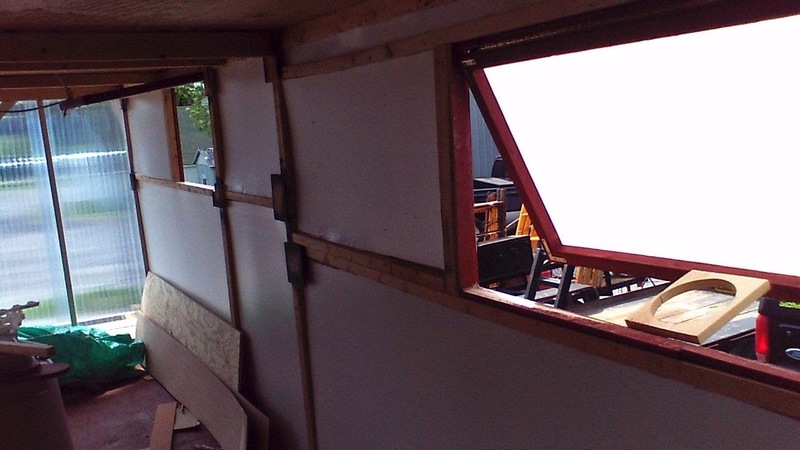 Heres the starboard side with the insulation panels in place, ready for paneling. And here's the port side. It is a major convenience to be able, finally, to lock the boat rather than to have to truck all the tools (two drills, two saws, the bladerunner, rulers, squares, hammers.....) out and up to the house. Major time sink, that was. Tomorrow, We'll complete installation of the duroc and steel behind what will be the hearth, install the hood over the fireplace, and with any luck, all of the trim on the fore of the deck house. Comment, damn ye. Would love to hear your feedback and ideas. Closing in on it...okay mostly closing in. WE HAVE A FREAKING ROOF!!!!!!! So What If You Did This?